Unlike the other doping controversies since the London Olympics, the Russian cheating scandal entered the mainstream and gained more juice. The presence of Russia and Vladimir Putin (I honestly never thought his name would come up in a track and field site…) added more dimensions to the story as new wrinkles are uncovered each day. Last Monday, the WADA Independent Commissions report on Russia essentially co-signed Hajo Seppelt’s original work from last December. Destroyed samples, covered up tests, bribes, athletes pressured to dope from coaches within the Russian federation, foot dragging after positive tests and the presence of secret lab (which ended up being the bad kind of secret) encompassed the biggest findings in the 300 plus page document. That’s a doable list. The goal for Russia should be a robust anti-doping program, but I’m sure the IAAF would settle for one that isn’t flagrantly breaking the rules. Inept, but not outrageously corrupt is an acceptable benchmark at this point. The IAAF is also involved with former President Lamine Diack still under investigation by French authorities for taking bribes. Last week brought the discovery of $93,000 in the house of the former head of anti-doping for the IAAF, Gabriel Dolle. As the shadiness stacks up, Richard McLaren of WADA suggested that WADA could suspend the IAAF. To summarize, the IAAF has kicked out Russia for the time being (even though all signs point to Russia being enabled by the IAAF) and WADA might give IAAF the boot. Are we looking at the end of days for track and field? 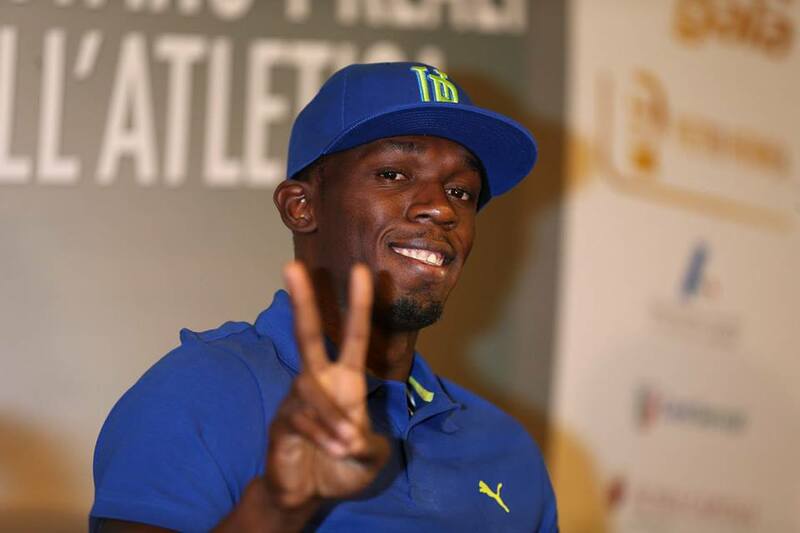 We haven’t even got to see Usain Bolt and Mo Farah race a 600m…..it can’t be over already!! The IAAF once again released some frequently asked questions on their website. There are only three questions this week, which was 27 fewer than I personally had. I cut that number down to six and attempted to answer them below. Is banning an entire country from competition fair? Russia was low hanging fruit. The Seppelt and IC reports provided concrete backing to the circumstantial evidence that swirled around the country for years. But it does raise the interesting question of how culpable are individual athletes for the failing of their national governing bodies–particularly in an individual sport where some athletes have very little contact with the administrators in charge. I’ve gone back and forth on this over the past week before finally settling on my position for the moment. Though track and field is an individual sport, the application of the rules (particularly the ones around anti-doping) are very much dependent on the nation where you compete. If your anti-doping program isn’t functional, then you have an advantage over other nations who are following the rules. Even if you’ve never missed a test or paid a bribe, the level of corruption in Russia was so vast that there is no semblance of trust with any athlete who was subject to their testing protocols. More practically, suspending the whole country forces the athletes (presumably the clean ones) to put pressure on the federation to make changes so they can compete again. Russia has several gold medal contenders and keeping them out of the Olympics certainly damages their career, but it also hurts a country who takes an extremely high amount pride on their sporting accomplishments. If Yelena Isinbayeva, Sergey Shubenkov and Anna Chicherova (three athletes who aren’t implicated at all in the IC report and haven’t been linked before to PEDs) are stuck competing in literal and figurative Siberia all year, maybe that’s the push Russia needs to make genuine changes..
Now, here’s where it gets complicated. Russia is an easy case because they were flagrantly breaking the rules almost to the point where they were daring someone to catch them. But what happens when a country’s anti-doping agency is just plain ineffective? Or doesn’t exist at all? Kenya is under the microscope because they were also the subject of an ARD documentary. They announced three days ago that they were setting up an anti-doping agency. If that sounds familiar it’s because they said the same thing last year. Now, a Kenyan coach has alleged that bribes were paid to lessen doping bans of marathon runners. This hasn’t risen to the level of Russia yet, but the issue of suspending nations gets murky when there aren’t any steps between a slap on the wrist with some light scolding/threats and a complete ban. Where Kenya, and other nations without robust systems in place, sit on that continuum is still unclear. What about the possibility of letting Russian athletes compete unattached? It’s hard to see how this wouldn’t undermine the entire suspension process. The Russian athletes with clout, like Isinbayeva (it was her coach that mentioned the idea), will compete independently and the Russian federation will have less incentive to change. If you were a Russian athlete and had the chance to separate yourself from this mess and focus only on competing, why wouldn’t you wear the colors of the good ol’ IOC (once you figure out what they are)? It would be great if there was a way to decide which athletes should be able to compete while all this gets sorted out. That would require both faith that you knew who the clean athletes are and the willingness to take over the Russian anti-doping program, at least for that group of athletes. Neither option seems viable. What will Russia do in the meantime? You mean, besides playing the victim and becoming petulant in the face of what was a preponderance of evidence? Russia was set to host two championship meets in 2016, both will now be moved. Russian athletes can still compete during the suspension, but only in Russia. Those results will be interesting to monitor, particularly in events where Russia has turned in suspicious performances. The most suspect of those marks have traditionally come in these same home meets where Russia athletes will now be confined until the suspension is lifted. The first major global competition is the World Indoor Championships at the end of March. Will Russia be cleared to compete by then? And if so, was the penalty just another one of those off-season suspensions that track and field is famous for? If the objective of the suspension was to force Russia to make wholesale changes, I guess when they do it is secondary to how good of a job they do cleaning house. But if the goal of the suspension was also to punish Russia for their violations then not being permitted to competed in meets from November to March is about as light as you can get. They can’t actually ban the IAAF from the Olympics, right? They covered this question on the IAAF frequently asked questions. Second to rampant corruption, track and field is one of the cornerstones of the Olympics. As I mentioned at the top, the WADA commissioner put this on the table, but I think the IOC would break up with WADA before they kept the track out of the Olympics. That being said, I understand WADA’s point. This scandal is not confined to Russia and in fact it looks more and more like it was aided and abetted at the highest levels of the sport. Without the Lamine Diack connection, you just have a single rogue country. But Diack and others allowed it continue and deepened its impact. As a result, there is little faith that the IAAF should be the one to try and fix the mess that they themselves were active participants in. What happens with Seb Coe? He’s survived thus far, barely. I think you can call this surviving. The IC said there is a second report coming that will address more issues with regard to the IAAF. Surely that, along with how he handles Russia over the next few months, will determine whether he has the support to lead. Let’s make a pact that whatever comes out, it won’t impact how we think of him as a runner. Look, here’s a video of 20 of his best races!! The ideal fix is to have IAAF outsource all of their testing to an independent third party, creating some uniformity and limiting conflicts of interest. Different countries have varying philosophies on doping. An international body, while still not unimpeachable, is the best chance at equity. This would involve a bunch of money in order to do the type of out of competition necessary to catch cheaters. 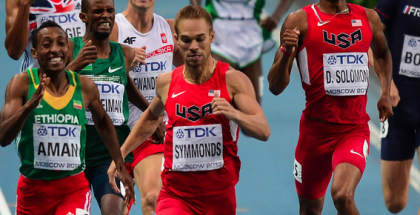 Is a USADA type whereabouts system possible for a sport as global as track and field? Maybe some countries keep their national testing and the third party group only supplements in areas like Russia and Kenya where there is a huge need. While I don’t think the Russian scandal is a death blow for track and field, it does represent a call for a massive overhaul to the current system. It’s hard to imagine the IAAF dealing with Russia, firing some people in their own organization who took bribes and then just calling it a day. The long history of track and field has told us two things: There will always be cheaters in the sport. And track and field fans are never going to stop caring about the cheating. This is a great article. The IAAF’s response to this situation is superficial and insulting. I am just glad that we have a fan base that is smart enough to see through it. They have essentially kicked the can down the road in the hopes that by the time we catch up to it we will have forgotten what we were so mad about. Ultimately, I feel naive in thinking that Sebastian Coe was possibly going to bring out some meaningful change to track and field.